I am new on this community and since I am planning to start my GMAT studies I thought I needed to get more involved in here. I have some materials to study including GMAC 2018 Quantitative Review book and GMAC 2018 Verbal Review Book. I have a previous edition of complete review also. Firstly I would like to ask about your advice about how to study with these materials or do you have any additional material suggestions for me ? Secondly, I have a computer, iPad and an android phone. Do you have any recommended websites, apps etc. for me to study ? I am planning to go to a business school in 2020. I currently work in a big firm and since I got some time for myself, I thought maybe I could give it a try. You can combine the two. There's a code included with each of the books you mentioned. The code included with the main (complete) OG, for example, will allow you to access all questions in that OG online, on the Wiley website. Yes, they are the same questions, but at least you won't have to carry all those books around, and you will also get to practice solving questions on a screen. Since it sounds like you're just beginning your studies, then it would be a good idea to take a FULL-LENGTH practice CAT Test; Once you have those scores, you should report back here and we can come up with a study plan. Actually I wanted to get to know the test better before trying it but I think I will take the initial CAT. 2 ) I have plenty of time so I do not know but taking it in winter 2017 or spring 2018 would be a good choice. And what about some other resources (other than mba . com material) ? Since it sounds like you have plenty of time before you plan to take the Official GMAT, you can certainly begin your studies any way that you like. The 760+ score is the 99th percentile though, meaning that 99% of Test Takers never score that high regardless of how long they study or the number of times they take the GMAT. Thankfully, NO Business School requires a score that high, so it's important to remember that the score that you "want" and the score that you "need" are not the same thing. All of that having been said, that initial CAT score is important - since we need to define your current skills, strengths and weaknesses. You can certainly study a bit before you take that first CAT, but you shouldn't wait too long to do so. We won't know what you'll need to focus on UNTIL we have a realistic practice score to use as reference. 4 months is a good enough time to prepare for GMAT. You should start by giving GMATPREP to learn more about your performance. You can then know your weaknesses and work on them. If you are willing to study dedicatedly for 4 months, you are sure to achieve your goal. I believe you may benefit from taking a GMATPREP course. If you are willing, there are some great GMAT prep companies that can help you with your preparation. I would also encourage you to purchase the GMATPREP QP1. 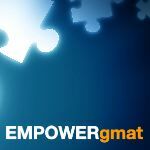 These are some great real GMAT questions and you will find them very helpful. Here is a link that will help you with your decision.